The conference was organized by the Kasetsart University and the Chiang Mai University. 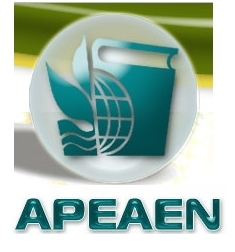 The APEAEN conference commemorated the King’s birthday and recognized his vast contributions to the agricultural development of the country. Because of this reason, the organizers decided to set the topics of the conference presentations and discussions regarding His Majesty's contribution in the field of agriculture about the theme “Enriching Agricultural Learning Process towards Sustainable Food Security”. The conference provided ample opportunities for all APEAEN members and other participants from different countries in the Asia – Pacific region to share and exchange their experiences and derive solutions to problems in agricultural education and extension, which can be used for the development of agriculture towards sustainable food security.